Trinity Preschool provides children with the foundational social and educational skills necessary to thrive in primary school...all based upon a biblical world view. We offer children a safe, nurturing, Christian environment in which to grow and to learn. This is accomplished through a dedicated and qualified staff of Christian teachers and administrators. At Trinity Preschool, we assist parents in their responsibility of training up and preparing their children for the exciting educational future that awaits them. To this end, we offer a progressive yet challenging age-appropriate curriculum that encourages the development of a child’s spiritual, social, emotional, mental and physical growth. To learn more about Trinity Preschool, we invite you to visit us! For further information or to schedule a tour any time during the year, please contact the director, Debbie Schultz, at (919) 355-1398 or dschultz@trinitypreschool.org. You can also place your child on any of our wait lists if a class is showing as full. We look forward to hearing from you! Trinity will be closed for Spring Break from Monday, April 15 through Monday, April 22 with classes resuming on Tuesday, April 23. We pray you have a fun-filled spring break and a blessed Easter celebrating our risen Savior! Registration for the 2019 - 2020 School Year! We'll continue to accept applications until all seats have been filled! Once a class is full, wait lists will be formed. The registration fees do not need to be paid for your child's name to be placed on a wait list. *Introducing Kinderbots! Children will discover a world of robotics as they build simple models that teach the fundamentals of robotic design. We'll be learning about sensors while building drills or discovering ways that gears and pulleys create movement while building helicopters and robotic dogs. The class will be offered on Mondays from 1:00 - 1:45pm beginning in March. Snapology, a S.T.E.M based program, will be offered on Tuesdays from 1:00 - 1:45pm. Children love to play and learn through play! When children are actively engaged using hands-on, interactive learning activities, their creativity and language flourishes. Snapology uses LEGO bricks and K'Nex to reinforce educational concepts all the while children are playing. To receive further information about their after-school programs or to register your child, please access their website at: www.snapology.com/locations/chapel-hill. or see the preschool director for an enrollment form. 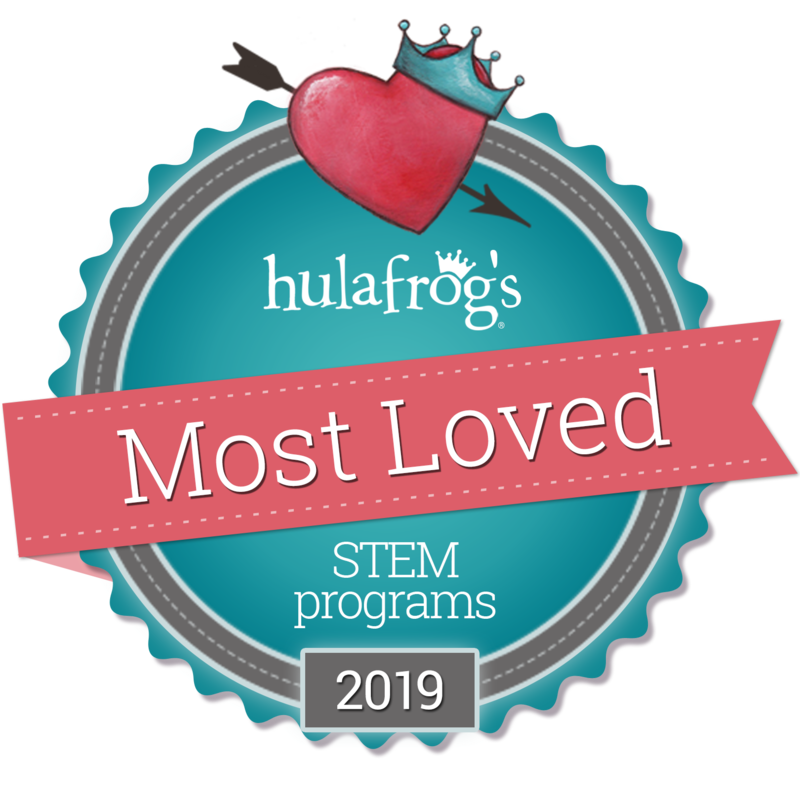 Snapology of Chapel Hill /Holly Springs won the Apex, Cary and Durham, Chapel Hill Hulafrog 'Most Loved Award' for STEM Program 2019! Hulafrog is a local parent resource website. Earlier this winter, parents voted for their faves in a variety of categories in our local community. An optional, after school enrichment program with Kidokinetics "Fit Kid Preschool Program' is available to our families on Wednesday and Thursday afternoons from 1:00-1:45pm. This program is designed to enhance children's coordination, concentration and improve muscle tone and cardio-vascular fitness in a lively high-energy setting. Through the introduction of an age appropriate sport each week, they focus on basic gross motor and sports skills. For more information about their fitness program, please access their website at http://kidokinetics.com/triangle/. You can also register directly on-line at: https://iclassprov2.com/parentportal/kidokinetics. or see the preschool director for an enrollment form or a one-time trial form. Seat Availability for the 2019-2020 School Year! SEAT AVAILABILITY FOR THE 2019 - 2020 SCHOOL YEAR! Classes are full! Wait list available upon request. 3 days/wk (MWF): Classes are full! Wait list available upon request. 3 days/ wk (MWF): Class is full! Wait list available upon request. 5 days/wk: (M-F): Class is full! Wait list available upon request. For more information about our age requirements, tuition, etc. please go to our FAQ's page. You can also place your child on our wait lists by phone, email or in person. Please provide your name, contact information (email and phone number), and your child's age and date of birth. To schedule a time to tour the preschool, please contact the preschool director, Debbie Schultz, at (919) 355-1398 or dschultz@trinitypreschool.org.